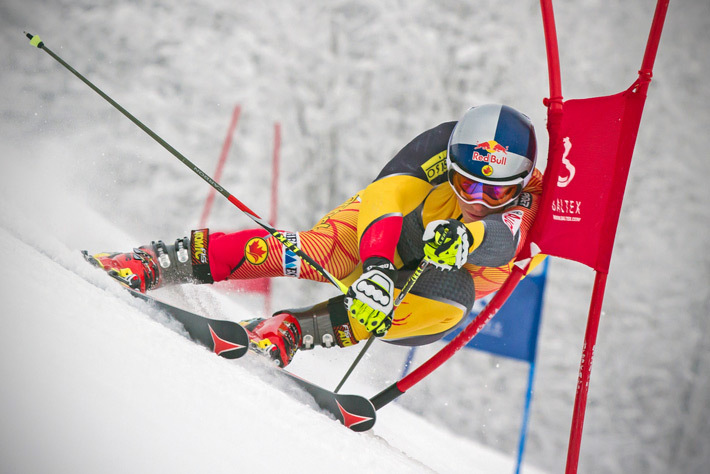 For its 75th anniversary, Tremblant wishes to pay tribute to two world renown athletes who come from the area. These athletes distinguished themselves through perseverance, discipline and tenacity, while reflecting Tremblant’s values. 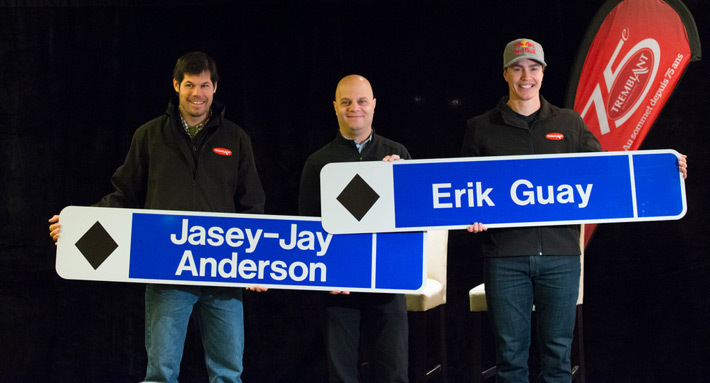 The Grand Prix trail on the south versant, from the top, down to the base of the TGV chairlift, will be renamed Erik Guay in honor of the 2011 world downhill ski champion Erik Guay, an athlete-ambassador of Tremblant. The trail on the northern versant, known as the Géant, will now bear the name of the mighty Jasey-Jay Anderson, an alpine snowboarder who won a gold medal in 2010 in parallel giant slalom. 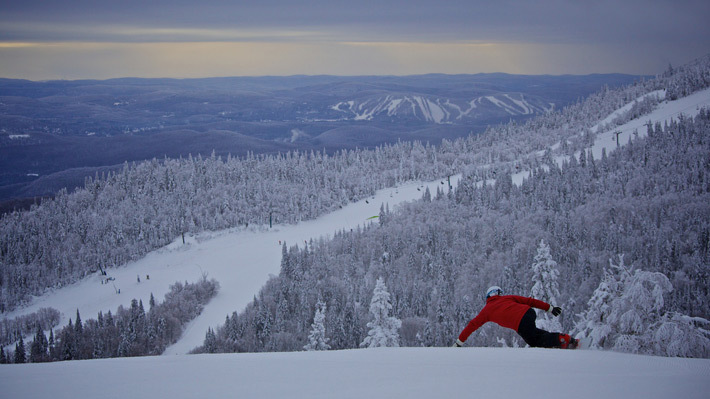 Over the past 75 years, Tremblant has become a destination resort of international renown, partly due to the athletes who have distinguished themselves and continue to proudly represent Tremblant. This association is a union that clearly goes beyond skills and illustrates perfectly the close relationship these athletes have with the mountain, coupled with the pride that comes with it.